You all have been supporting BankExamsToday since its establishment and we are grateful to you for your support. Many students have cracked their banking exams with the help of the content provided by us. All we want you to do is to fill the form given below. It will hardly take 5 minutes of your precious time but will help us immensely. We request you, if BankExamsToday has ever helped you or you like our content, please fill the form given below. 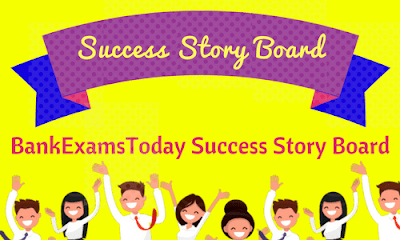 We want you to share your success stories with us and how BankExamsToday helped you to achieve your goal. Kindly fill the form. We will be highly thankful to you.